In a previous blog, I have already commented on the poor quality of coverage of the Crimean crisis in the Western press. Most news articles about the Russian annexation of the Crimean peninsula show no understanding of the real motives of Putin or Russia. This is scary. Folks, Russia has the second largest nuclear arsenal in the world, capable of blowing up both the US and the whole world several times over. Wouldn’t it be a good idea to understand why they are defying the West? Instead we get numerous amateur psychoanalysts speculating about Putin trying to compensate for his massive inferiority complex. The only insightful articles I have seen are from true social science professionals, either people who have a deep understanding of the Russian culture and politics (see links in my previous blog) or from the International Relations (IR) scholars belonging to the so-called Realist School. Arguably the two best (authoritative and influential) IR scholars in the US are John Mearsheimer and Stephen Walt. Each wrote recently about the Ukrainian crisis, and I hope our political leaders have taken note of what they say. See Mearsheimer’s Getting Ukraine Wrong and Walt’s No Contest: Obama gambled that U.S. power would trump Russia’s interests in Ukraine. He was wrong. In my opinion, the neo-realism is the best empirically supported IR theory. Neverhteless, it can profit from an injection of some evolutionary thinking. In particular, states don’t necessarily behave as rational agents, who always choose the course of action that will yield the highest material advantage. In fact, ever since the ancient Romans, states have been much preoccupied with ‘honor’ and ‘sacred values’ (see my blog on the sacred values). To illustrate how such ‘irrational’ (or, as I prefer, ‘extra-rational’) behaviors can evolve, consider a herder who lives in a stateless, anarchic society. His wealth – the flocks – is of considerable value, and can be easily appropriated. Since there are no cops and courts, the herder must rely on his own efforts to protect himself against theft. In such a situation, one evolutionary strategy is to maintain a reputation for extreme toughness: “you will regret it if you mess with me.” Potential thieves are deterred if they know that the owner will go all out to punish them should they dare steal any of his livestock. Punishment is not a rational strategy, however, because it requires you to risk your life or spend treasure (by hiring a bounty hunter, for example) for no gain. Yet, its an evolutionarily advantageous strategy. In the long run, herdsmen who do not cultivate a tough reputation – “men without honor” – lose their herds and go extinct. The ‘honor’ part is very important, because your commitment to punish a thief must be credible. You cannot be dissuaded because it’s dangerous. You cannot be bought off, because by doing so you lose credibility – you lose honor – and you lose the capacity to deter potential thieves. 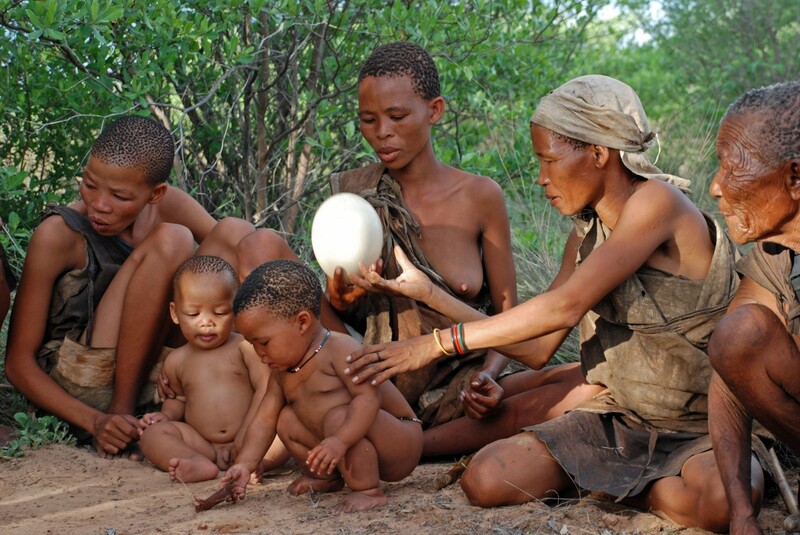 The problem, of course, is that thieves are also under evolutionary pressure to cultivate tough reputations – to deter punishment from herders from whom they steal livestock. 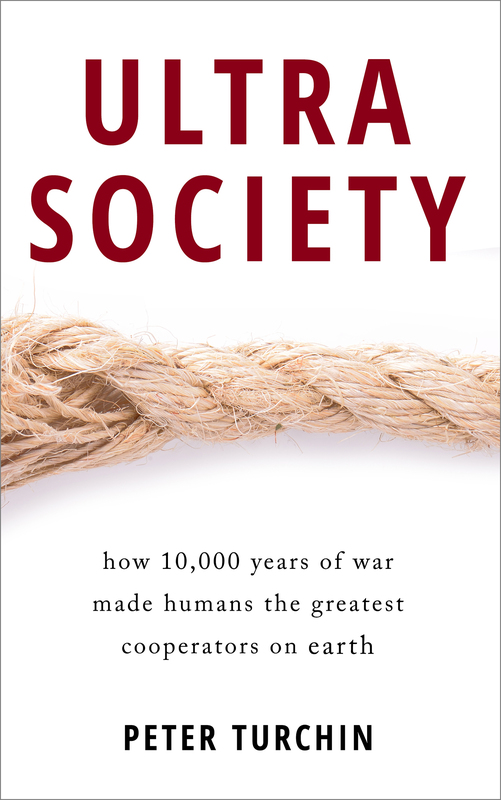 So we end up in a coevolutionary arms race, in which everybody becomes increasingly tough – to the point of craziness. The end result is a spiral of violence, in which all parties exterminate each other. 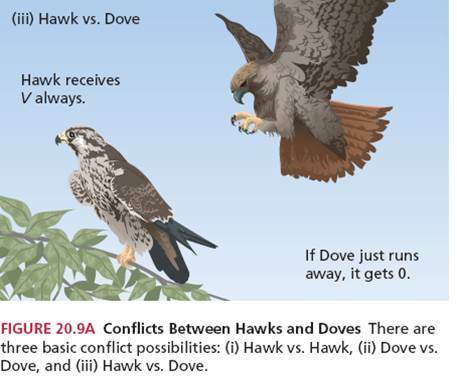 Theorists have investigated such evolutionary dynamics with a classic ‘hawk-dove’ model, and found that neither the meek ‘dove’ strategy, nor the tough ‘hawk’ strategy is evolutionary superior. 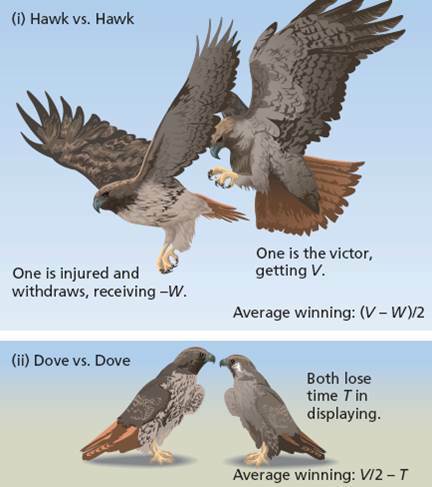 But there is a modification of the hawk strategy that wins over both hawks and doves. It’s known as the “bourgeois” strategy. Its essence is that you declare something (your flocks, or a piece of land on which you grow crops) as your property which you are willing to defend, no matter what it takes. Again, it’s not a rational strategy, because you must be willing to escalate conflict and expend more than your property is worth. Yet, in evolutionary terms, it’s a winning strategy. 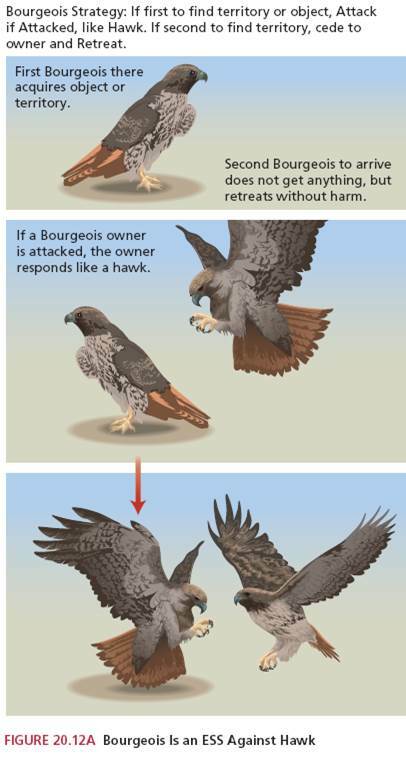 Modeling shows that bourgeois always replace hawks. What are the implications for the IR theory? The primary resource in the international competition between the states is territory. Territory is where people live, providing the state with taxes and army recruits. Territory can also have strategic value by allowing the state to project power or control a choke point (such as a strait), thus denying another state such an opportunity. Territory is of existential importance to the states, because a territorial state cannot exist without territory (by definition). States often behave in an opportunistic manner, grabbing extra territory when they can, or giving it up when they realize that the cost of holding it is too great. This kind of behavior is well described by the realist theory. However, some land is special in that it is not subject to a rational geopolitical calculation. It is “sacred” or “holy” and must be held at all costs. Designating certain land as sacred is the IR equivalent of the bourgeois strategy in the hawk-dove game. States that treat their core territories as sacred and are willing to escalate conflict to defend them, persist in the international arena, while states that treat their core territory in a rational manner are gradually eliminated. As a result, we have what might be called as coevolution of geopolitics and sacred value. Geopolitical assets become sacred values. Note added 25.III.2014: I was approached by an editor of an electronic magazine with the proposal to recast this blog as an article for them, so I will not be posting the second installment now. If things work out as I expect, both parts wil be published as a merged article. I’m an IR realist (of a certain sort) so I found this post very interesting and quite congenial. Unfortunately, realism is not very influential in the IR field (one survey found about 15% of IR scholars identified as realists). Nor does it have much influence beyond, judging by the upsurge of anti-Russian rhetoric from pundits and politicians. It is true that realism doesn’t have a very good explanation of why peoples are emotionally attached to their territories. The ESS idea is very elegant as the ultimate origin. No doubt there are also more proximate mechanisms. Loss aversion would be a key motive for bourgeois strategists. Nationalism seems to determine how “core” territory is defined. I think we also need an explanation of the emotional reaction (or over-reaction) of the West to this episode. Is it partly motivated by altruistic punishment? In any case, realism has had very little success in calming such moralism. Mearsheimer and Walt were leading voices against the invasion of Iraq in 2003 to no avail. Possibly that is why realists have a reputation for gloomy pessimism! I think it’s a bit of oversimplification. Nowadays, territory by itself can be far less important than competitive economic model and business reputation; no wonder almost all former colonial powers have gotten rid of their empires. I can’t think of any war over territory that a developed country has participated in since the Falklands War. Russia, of course, exists in a time capsule and has a Cold War mentality, so it still conducts its foreign policy in accordance with Big Game mythology. Another oversimplification is that you lump the country and its leaders; assuming that Putin is unselfish and concerned only with Russia’s interests is, of course, plain wrong. The invasion of Crimea was mostly a propaganda show; the Crimea is a poor region with very limited economic value, and the naval base in Sevastopol was not under any threat. It’s not a part of “core territory” at all – in fact, it’s always been perceived as mildly exotic. What Putin is trying to do is broaden his support base by appealing to Russian racists (“nationalists” in Russian political terminology), since their popularity has been rising rapidly in recent years. He doesn’t care about economy, foreign policy, or Russian speakers in the Crimea. 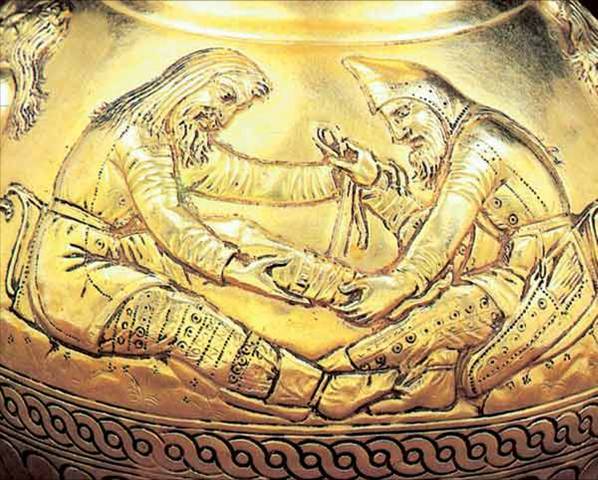 IR theory would probably profit from the study of use of “sacred values” by regime propagandists in actual situations – like Kosovo in Serbia during the first decade of 2000s (and some hundred years before, when supposedly, Serbian mining tycoons had “vested interests” in then predominantly Albanian Kosovo’s metal ores deposits), Greece & Izmir after WWI, Alsace (?) 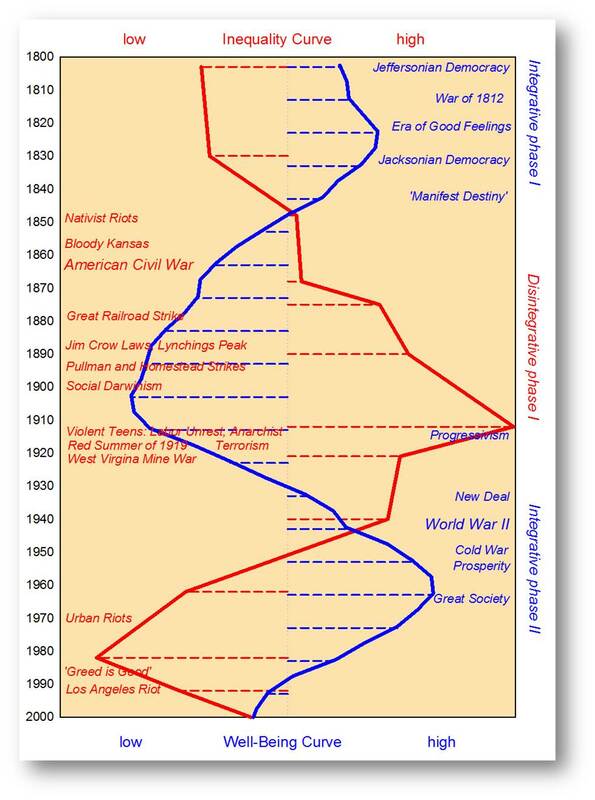 in different historical periods. There’s one cynical saying in Serbia that sums up that aspect of “sacred values” for me: “Kosovo is Serbia, everything else is Mišković”. Mišković being Serbian Rinat Akhmetov. It would be interesting to see who profits the most by use of “sacred values” in political arena. After all, as professor Turchin implies, sacred values bring adaptive advantage to somebody, otherwise they probably wouldn’t exist. So far, Putin is the only one to profit – except the hypothetical conspirators who have allegedly used the opportunity to buy Russian stock at low cost, but that’s just one of many conspiracy theories out there. 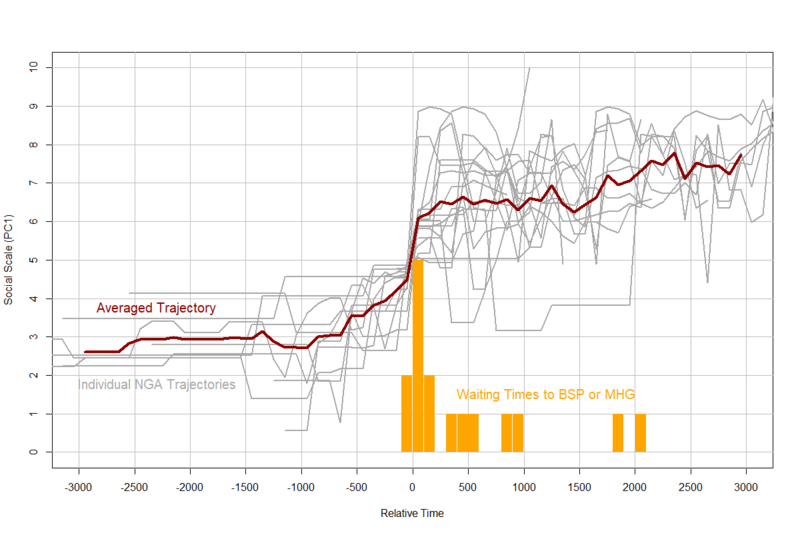 I like realism, however it is has no sense of time – rise and fall – and as Peter rightly says, does not address irrationality. however, what I also don’t like about realism is the rigid state-eye-view. territories are not always won and lost through war between states. OTHER THINGS are happening that are completely omitted from a realist narrative of history. such as, although the usual “lingo” is international politics is a game played by “states” it’s actually played by elites of the states. state vs state is elite of state A vs elite of state B. also, this means the “bourgeois” strategy of “escalate to defend” can be played by these elites in the territorial realm, OR the non-territorial realm – of ideas, especially by the elites of weak states who simply lack the power to carry through the “bourgeois” strategy in the territorial realm. here is how it is done in the non-territorial realm. the scared value becomes non-territoriality: rather than land the utopian idea of global unity is defended. i.e. the belief there is no territory that belongs to exclusively to states. there are no borders, sovereignty is extinct. we can go where we please. all follow the one ideal law and live in peace together. this is the sacred principle. there is only one Europe. one world maybe. the sacred value of global unity is pretty irrational from the eye-view of a “state” as its power over territory is given to a larger foreign body, potentially thousands of miles away. from the perspective of the state’s elite, it’s also seemingly irrational as they appear to give away all their power and privileges. however, in the real world elites network with other elites. “escalate to defend” strategy in non-territoriality realm means elites of each state when accused of not doing enough for the people they rule show they are REALLY serious about their ideas of non-territoriality by giving away more, and even more power, to make their state much weaker. they can do this because of the support they get from each other through the body they give power to. 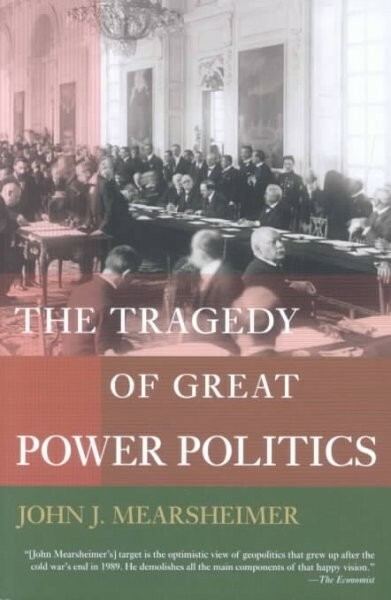 finally there is no effective power left in each state, the state becomes a subject province to the encompassing entity, a mere museum of its former political institutions. the formerly weak elites merge into a new much larger territorial entity, through which they hope to realise further political ambitions. Not related to this post, really, but any chance we could hear your take on the new Piketty opus everyone’s fussing about (Capital in the Twenty-First Century)? Henry, so far I read about it, but did not have time to read the book itself. Yes, it’s definitely on the plate, but I am not sure when I will get around to it. A good read. I particularly like how Peter tries to formulate an explanation that bridges across disciplines. While the evolution theory for the culture of honour may not be the complete picture, it definitely lends support to one part of the overall story. The issue of Crimea in my opinion is also one of an ideological warfare situated on proxy grounds between the two big nations. If we were to take state centrality as fundamental to existence, having buffer states is contributing measure to survival. I’m curious then to how far Russia would be willing to be controlled by sanctions. If the culture of honour is strong, a retaliation is inevitable. Of course, the argument then would be underscored by a Hobbesian school of thought and perhaps Tilly’s argument about how war makes statehood.